Part of the new Nautilus Performance Series, the Nautilus E618 Elliptical Trainer Machine is designed for the more serious athlete looking for a more intensive workout in the comfort of their own home. The Nautilus E618 Elliptical Trainer Machine combines state-of-the-art technology with an ergonomic design to deliver the best performance possible with a great range of workout options to keep you challenged and motivated. The Nautilus E618 Elliptical Trainer is equipped with an optimized drive train, incorporating a 30 lb effective flywheel system together with ECB (Eddy Current Brake) magnetic resistance which provide smooth and consistent momentum throughout the stride pattern. 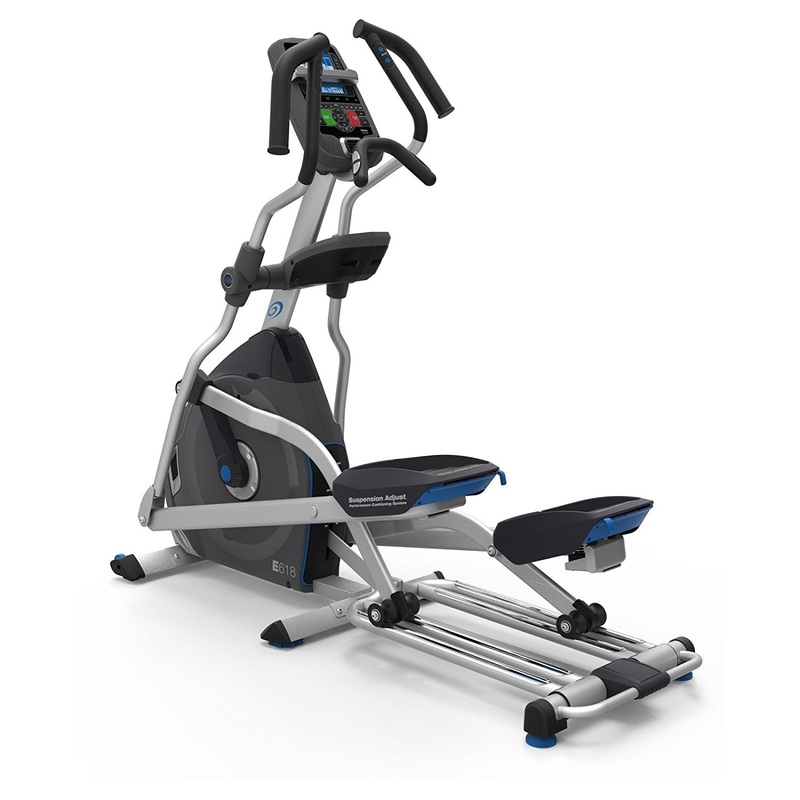 The Nautilus E618 also features dual slide rails to effectively distribute the load of each stride, helping to increase overall balance, stability and smoothness of the workout. 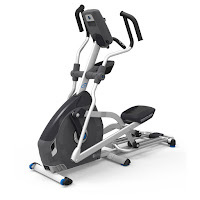 Ergonomically designed, the Nautilus E618 Elliptical Machine offers a 22” stride length and features a Suspension Adjust Performance Cushioning System which allows you to adjust the angle of the footplate from 0-10 degrees. This not only offers customized heel support but also allows you to engage different muscle groups for a more effective workout. To keep you challenged, the Nautilus E618 features 25 resistance levels and 29 workout programs, including intervals, challenges, weight management, custom and heart-rate training programs. The elliptical trainer’s Adjustable SightLine console is tilt-adjustable so different users can get the best viewing angle of their workout stats on 2 STN blue backlit LCD displays, including time, speed distance, calories, and heart-rate. Your heart-rate is measured via either the built-in pulse grip sensors in the static handlebars or via the included wireless heart-rate chest strap. 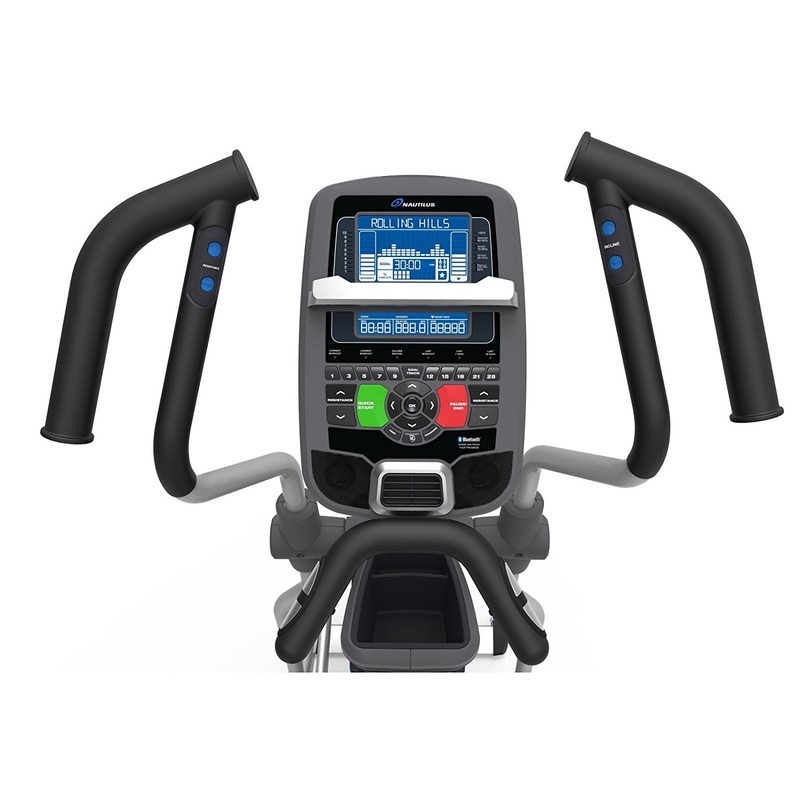 The Nautillus E618 allows for 4 different user profiles and the console also offers Bluetooth connectivity so you can track your workout data on supported smart devices via the free Nautilus Trainer app or other partnered fitness apps. Unlike most other elliptical trainers, the Nautilus E618 offers additional challenge with its Motorized Incline feature which allows you to raise or lower the incline level from between 0-15 degrees. For ease of use, the incline and resistance levels are easily adjustable via integrated controls in the multi-position handlebars. Additional premium features of the Nautilus E618 Elliptical Trainer include a triple-speed cooling fan, a media tray, water bottle holder, and speakers with MP3 input / USB charging port. Sturdily constructed, the Nautilus E618 allows for a maximum user weight capacity of 350 lbs. It comes with stabilizer frame levelers and front-mounted transportation wheels. 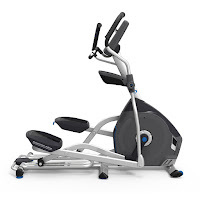 The Nautilus E618 Elliptical Trainer is for serious athletes who are determined to train and achieve at a higher level and expect the best from their exercise equipment. 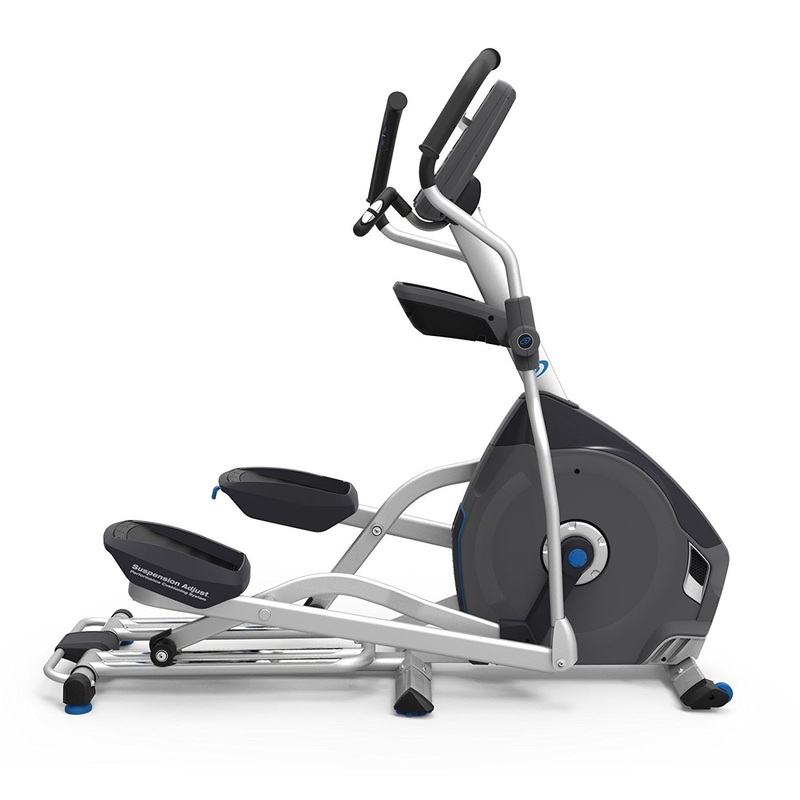 Belonging to Nautilus’ new Performance Series, this elliptical trainer will keep you challenged and motivated, providing an extremely effective low-impact workout that’s kinder to your knees and joints compared to many other forms of exercise. You’ll love its ergonomic design and the ability to customize the angle of the footplates and console to suit your individual height for optimum comfort. A standout feature on this elliptical trainer is the Motorized Incline which is typically only found on treadmills, adding a new dimension to your workouts and utilizing more muscle groups for a more intense workout than traditional elliptical trainers. With all the premium features and more that you would expect from a high-end elliptical trainer, the Nautilus E618 is built to last and well-worth the price it commands. Comparing Nautilus R618 versus Nautilus R616 Recumbent Bike, What's the Difference?